One of my favorite things about the holiday season is wrapping gifts! That may sound a little weird to some people, but I have always enjoyed wrapping gifts and trying to make those gifts look extra special. With that being said, wrapping gifts is time-consuming and does tend to involve a bunch of different supplies. 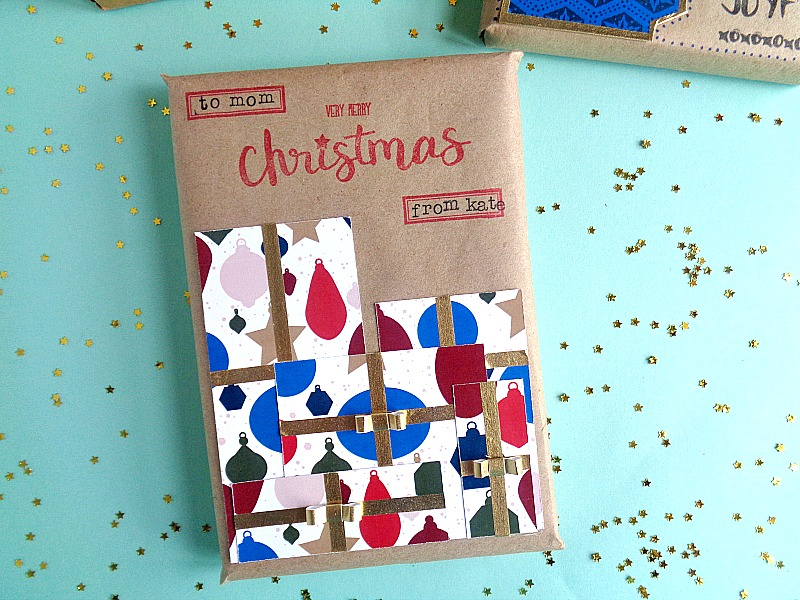 If you are someone who would rather skip the fancy wrapping paper or is looking to save time while wrapping, then you will love today’s project. 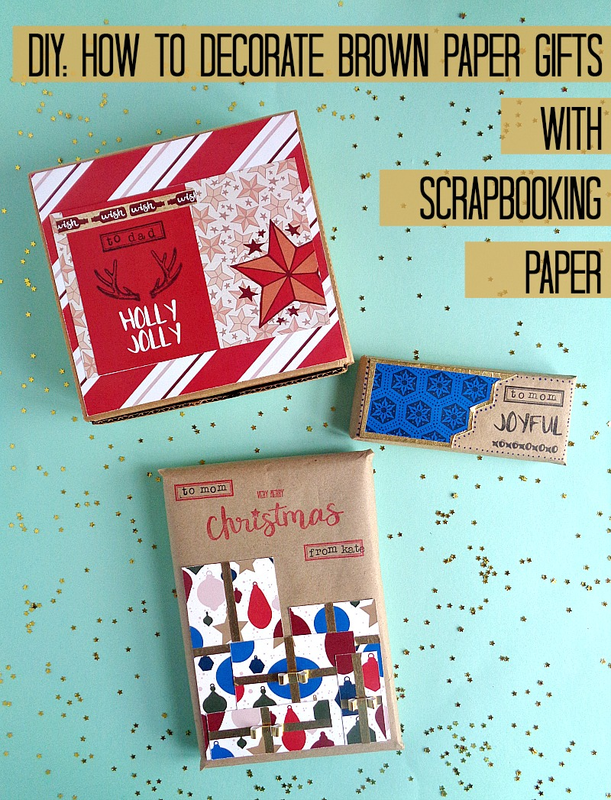 This is because I am going to show you how to jazz up some brown paper gifts (or boxes) with some scrapbooking paper! Today's project is part of my collaboration with Xyron since I'm a member of their design team! This means you will be seeing a Xyron product in action! 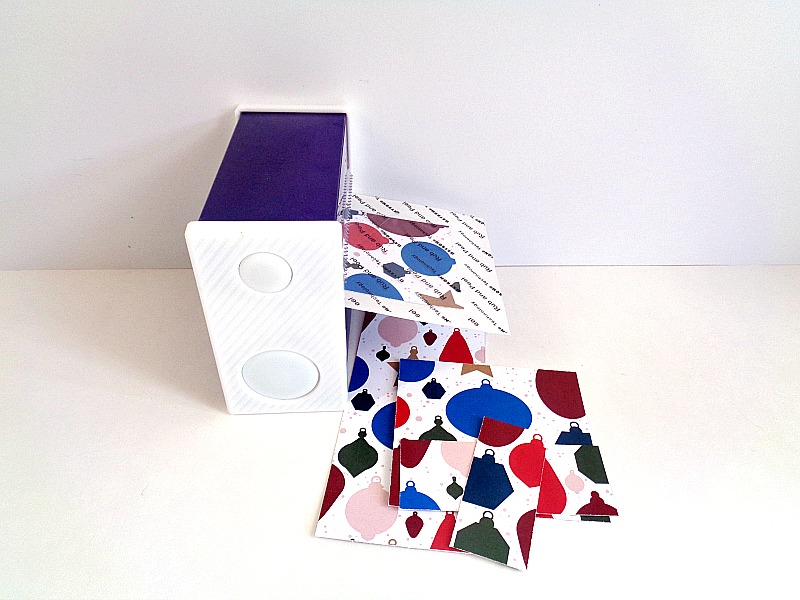 For this particular project, I will be showcasing the Xyron® 3'' Disposable Sticker Maker . I've talked about the Xyron 3’’ Disposable Sticker Maker before, so if you want to learn more about it, then click here. Also, in this project, I will be using items from Wild Whisper! 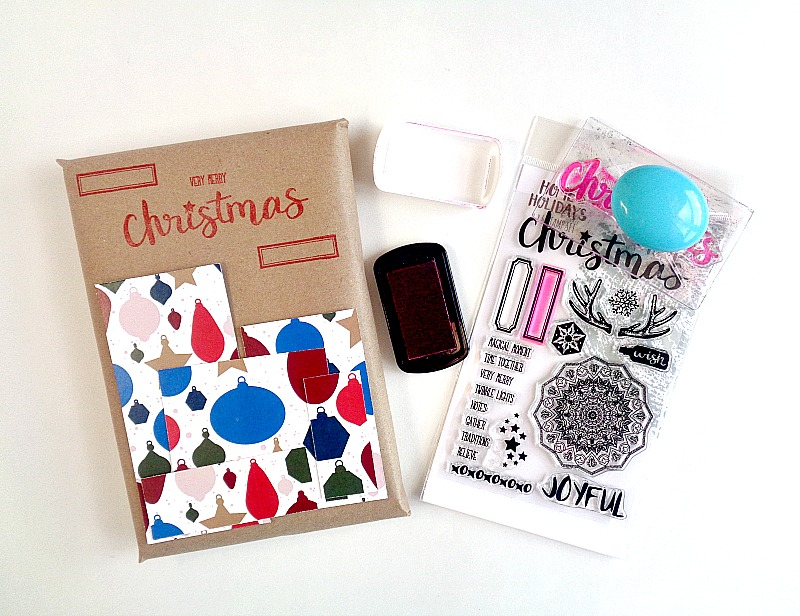 If you have never heard of Wild Whisper, they are a scrapbooking company which produces 12x12 double sided paper collections, stamps, and pocket scrapbooking cards. Besides ‘’scrapbooking supplies’’, the company also carries a wide variety of craft supplies like sequins, chipboard, and wooden veneers (which I love)! Today I will be using a few products from their newest collection called Home for the Holidays. As I mentioned before, I will be showing you how to jazz up brown paper gifts with scrapbooking paper. My goal when creating this project was to make it simple, fun, and customizable for you. 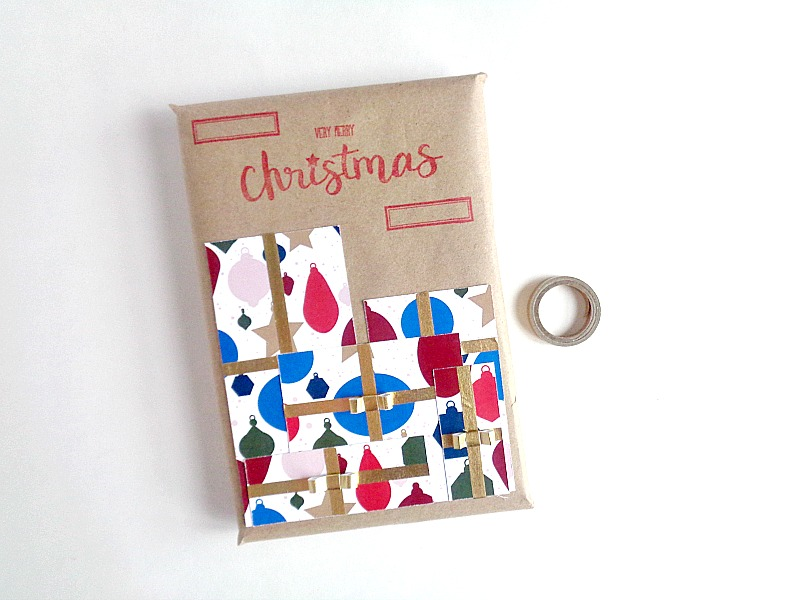 For the tutorial, I will only show you how to create one idea, but make sure you scroll down to the bottom to see two more gift wrapping ideas! So, if you want to learn how to transform your plain brown wrapped gifts into something a little more special, keep reading below! 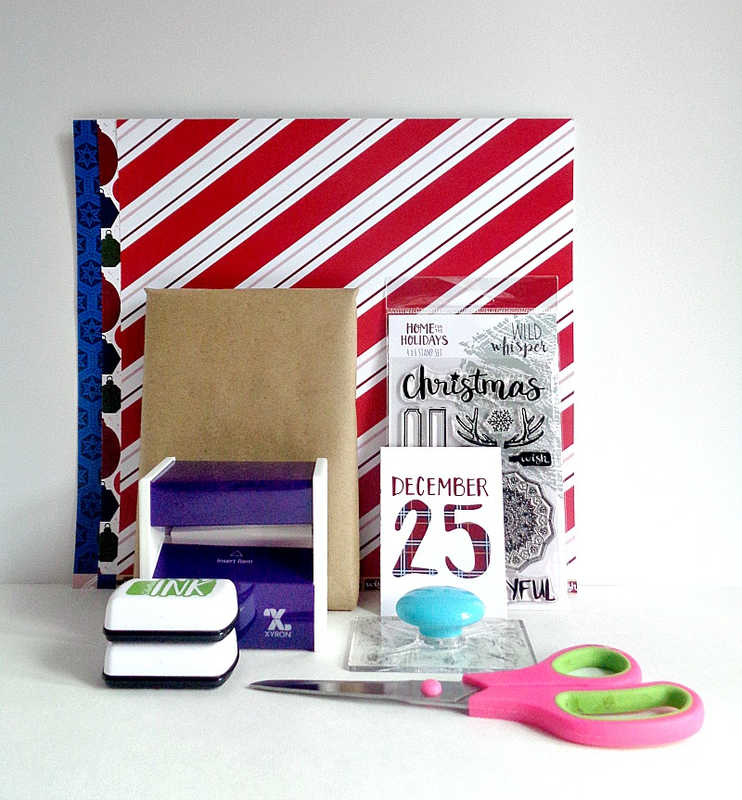 Step 1: Grab your wrapped gifts and decide what theme or image you want to use on the top of the gift. Once you have made your decision, cut out those shapes or images from your scrapbooking paper. For this gift, I am going to cut out random size squares to create the look of gift boxes. 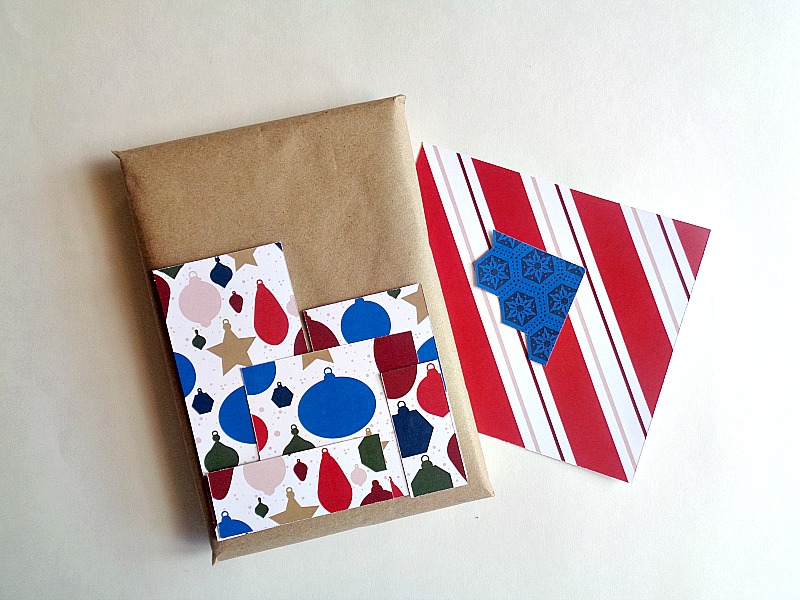 Step 2: Lay your cut out shapes or images on top of your gift and determine where you want to stamp on your gift. For this particular gift, I used Wild Whispers Home for the Holidays Stamp Set. 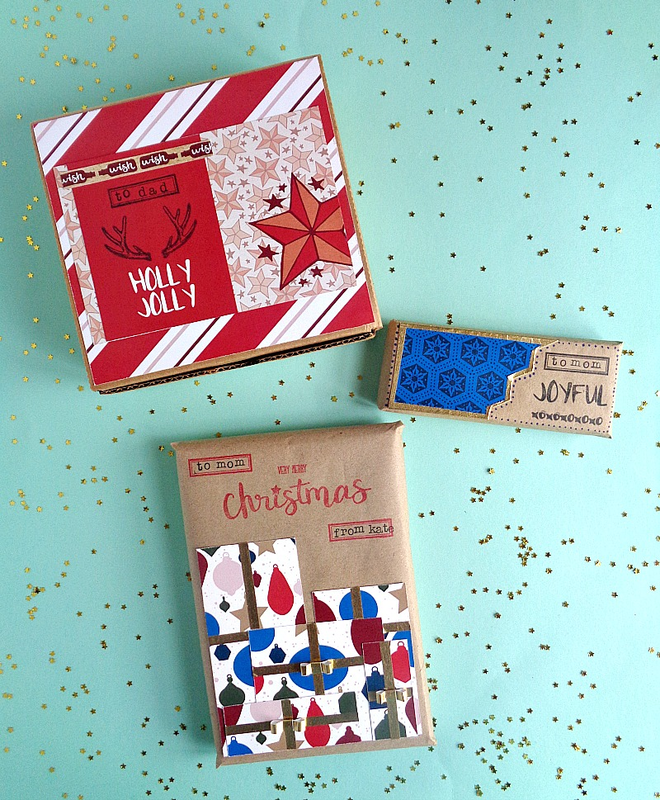 Specifically, I used the ''very merry'', ''Christmas'', and ''square box'' stamps. To do the stamping, I simply peeled off the stamps and adhere them to my acrylic block. Then I stamped them into some colored ink and finally stamped the images onto my brown paper. Crafty Side Note: If you are worried about the ink going through your brown paper, you could always stamp on to the paper before you wrap the gift. The reason why I did the opposite, is because it takes a good amount of ink, paint, or marker to actually go through the brown paper. In my experience, I have never had anything bleed through the paper. Also, the amount of ink we are using in this project is fairly small. Step 3: Grab your paper pieces and slide each piece through your Xyron 3'' Disposable Sticker Maker. Keep repeating this process until you have run each piece of paper through your Xyron 3'' Disposable Sticker Maker. Step 4: Add your paper pieces to the top of your gift. However, before adding them, make sure you rub each paper piece while it's on the Xyron Sticker paper. That way, you'll be creating a really strong adhesive backing. Step 5: Finally, add those final touches to your gift (like ribbon or washi tape) and write the name of the person you are giving the gift to, in the boxes that we stamped earlier. For my gift, I added some washi tape to each gift and created some washi tape bows, to complete the whole look. Once you are happy with how your gift looks, you are ready to give it to that special person in your life! I have actually been using this method of decorating brown paper gifts for years! 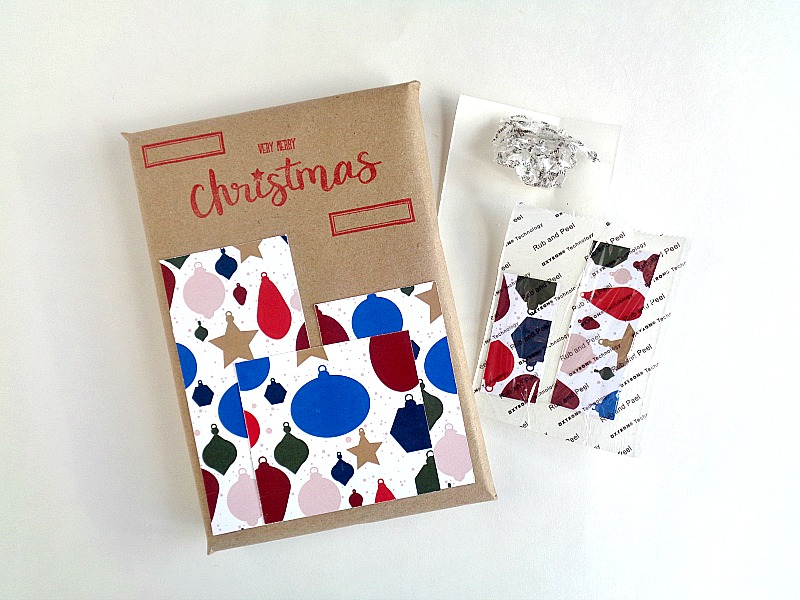 It’s really a great way to save on wrapping paper and to use those supplies that you already have on hand. Now, in the beginning of this post, I mentioned two other ways to use scrapbooking paper to decorate brown paper gifts or boxes. Well, another way that you can use this method is on top of small brown boxes. 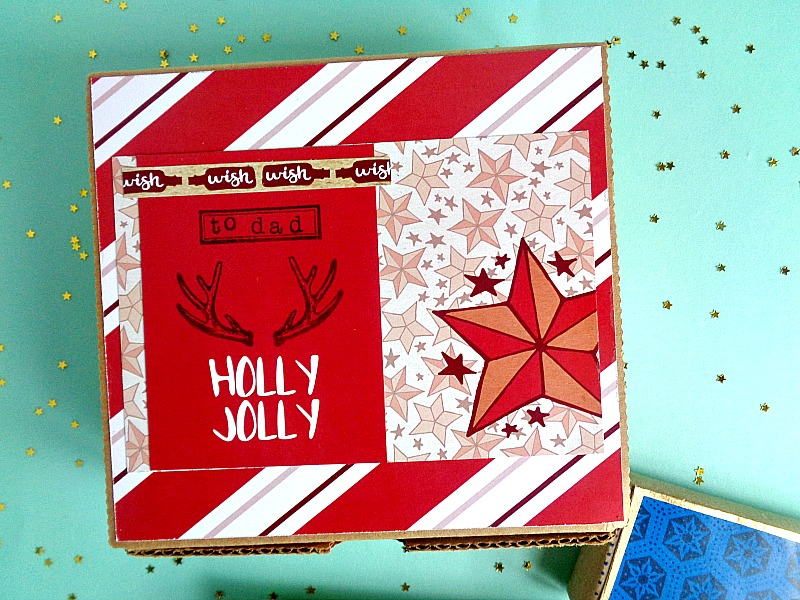 You can see that for my box, I used one main sheet of scrapbooking paper as my background and then layered on top of it with Wild Whisper's Home for the Holidays Card Pack. Then I simply stamped a few images, to tie the whole thing together. Finally, for the middle gift that is small, I simply cut an out a piece of scrapbooking paper in an unique shape. I then covered the edges of that scrapbooking paper with washi tape and then stamped a few images off to the side. What do you think? 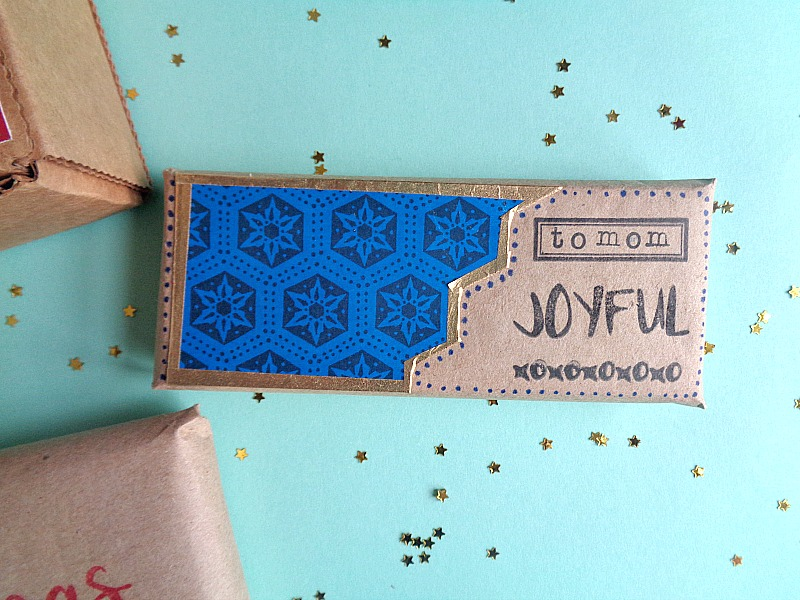 Do you like this idea of using scrapbooking paper to decorate brown paper gifts?